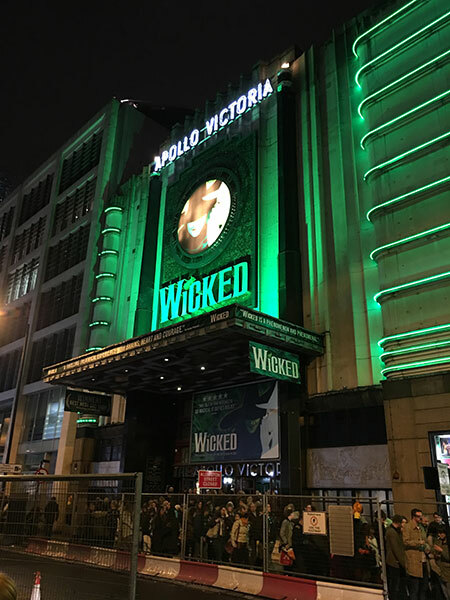 As a fan of the Wizard of Oz, I had been looking forward to seeing Wicked, the musical, for years. We went to the Apollo Theatre in London, right outside Victoria station, and were lucky enough to get great seats in the stalls with a clear view of the stage. I went in with no expectations, considering the critic’s horrible reviews and the fact that so many people loved it. I was sure the reality was somewhere in-between and we weren’t disappointed. 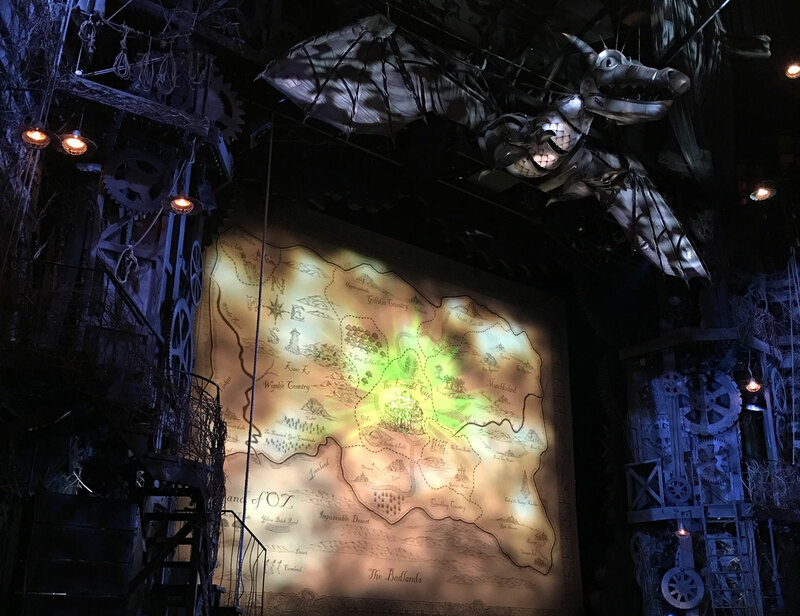 As a show, Wicked is absurdly over-the-top entertaining. It’s a bit too long, though. You could cut about an hour and still have an amazing show with less issues. As a spectator though, there’s lots of effects, dancing… it’s all overdone in order to be a great spectacle. If you watch it as a fun musical concert spectacle, it’s definitely good, which is probably why so many people love it. The entire cast is brilliant and put on a highly entertaining show. 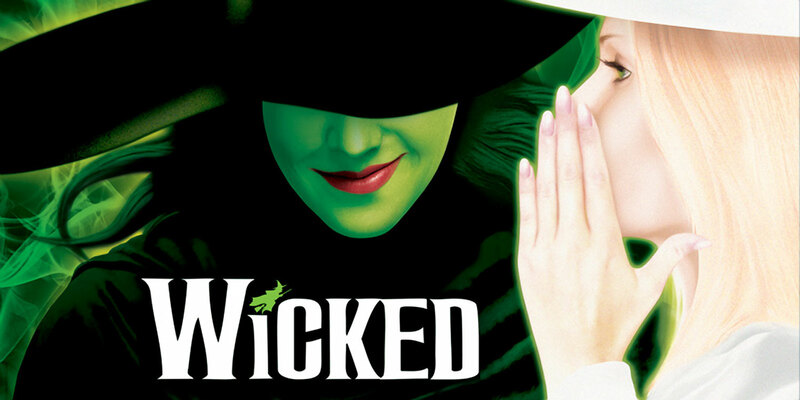 As Wicked is a musical, it’s the music that’s the star, but unfortunately, it’s both a weak and strong point. Emma Hatton, who plays Elphaba, the wicked witch of the West, is impressive in the role, and is a truly amazing singer, stealing the show. Unfortunately though, her voice is too good for the material, which at times makes everything else seem worse. Also, the songs themselves aren’t all that memorable or impressive, some of them seemingly disjointed and out of place. There are a couple which were absolutely brilliant, most people have their favourites, and one can’t expect all of them to be awesome or to like them all. The biggest issue is that there’s very little unsung dialog, and the sung dialog outside of songs feels completely disjointed and just isn’t great. 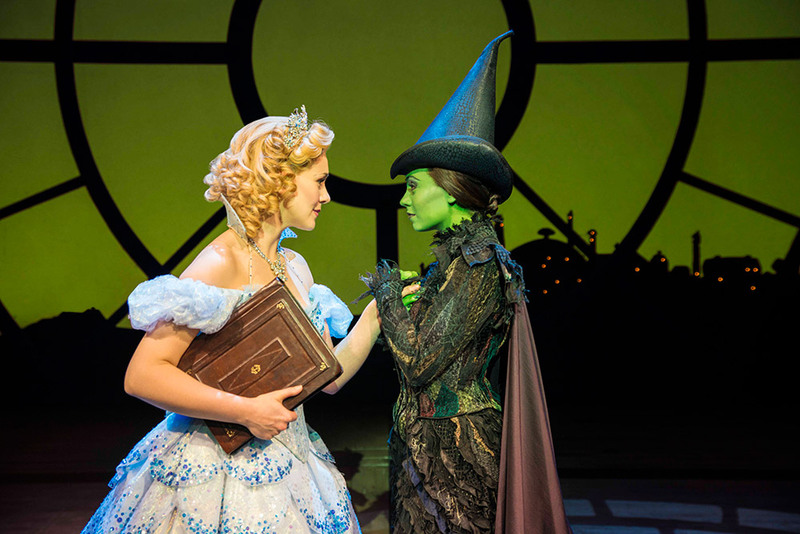 Savannah Stevenson (Glinda) and Emma Hatton (Elphaba). Despite loving weird twists on classics, this is one of the most disgusting stories I’ve ever seen in like… ever! It’s definitely NOT for children, unless they’re white, blonde and popular. The overall message of the story is that if you’re different, a different skin color, clothes, or personality, if you don’t conform and aren’t popular, if you’re ugly and not like the white, beautiful, blonde, and popular people, then you should die or sacrifice yourself in order for those white, beautiful, blonde people to shine in the world and be celebrated. Wow!!!! Now THAT is truly wicked! And to think so many millions of kids have watched and memorized this message into their brains! Very sad. How can this show even continue? From beginning to end, I found that I hated every character I ever loved, as they were portrayed as very nasty people. It tries to explain the Wizard of Oz… except it doesn’t. But I guess that if you turn off your brain, and try to simply watch the show as a visual spectacle, it will certainly be an entertaining experience. It will be especially awesome if you’re beautiful, blonde, or popular. Pros: Theatre in great location, fun spectacle if you turn off your brain, Emma Hatton is amazing as is the cast overall and worth a listen live. Cons: Too long, seats not comfortable enough for the long running time, songs not good enough, not enough dialog to tie the songs together, story has a disgusting message, not for kids.